I have never read a novel by Stephen King. I was more a Dean Koontz guy. Why? I think one of the reasons is the fact that I have watched too many film adaptions of his works to be interested in the originals. Perhaps – and I hope – I am not the only one with this kind of feeling. 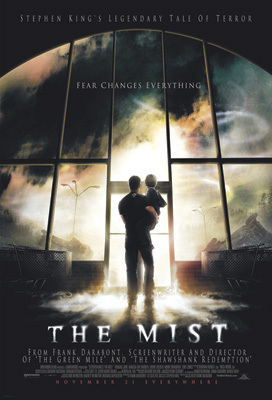 This week I have nevertheless watched the adaption of his 1980 short story THE MIST in a sneak preview.